Well organized tourist resort areas close to the main road right next to sandy beaches. Georgioupolis and Kalives are villages that developed into tourist resorts, situated close to the main road with well-organized sandy beaches. On the National Road to Rethymno, Kalives welcome the visitor with an open sandy beach that has a small harbour where the sea remains calm even under strong winds. All around the beach there are all types of facilities, while in the village you can spend time shopping and enjoying local delicacies. Close by there are the beaches of Kyani Akti, Almyrida and Kera. Further to Rethymno, Georgioupolis tourist resort offers a long and sandy beach that extends from the town of Georgioupolis, to the area of Kavros and ends at the river of Petres. 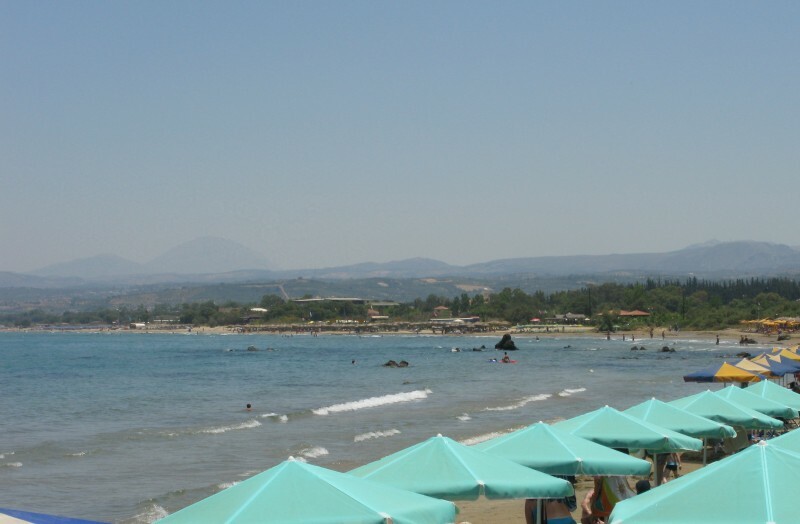 It is one of the longest beaches on the island and it connects the Prefectures of Chania and Rethymno. On site there are all types of facilities and accommodation. While in town try walking on the rocks that form a path into the sea towards the small chapel of St Nicholas.